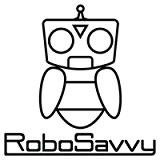 RoboSavvy Forum • View topic - Anyone selling an OP? Shot in the dark, but is anyone happen to be selling an OP? I'm thinking with the cheaper OP 2, and ~+3years that the price for a used (and working!) OP 1 will be in my range. PM me if so. Re: Anyone selling an OP? hi mltv, we just sent you an email.